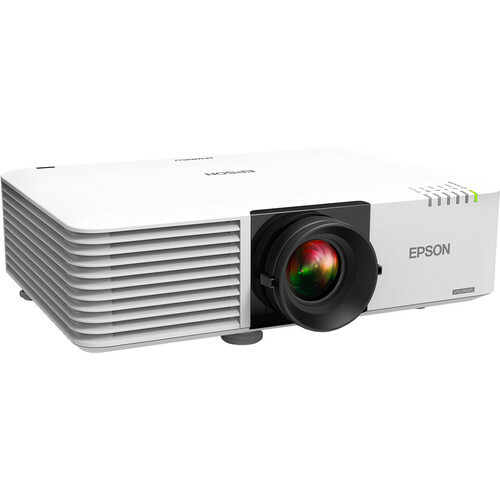 Enjoy bright, vibrant images with the Epson PowerLite L400U 4500-Lumen WUXGA 3LCD Laser Projector. Its 4500 lumens of brightness, combined with its 2,500,000:1 dynamic contrast ratio, will help it overcome ambient light in many situations and retain detail in dark areas of the image without compromising overall brightness. Its 1920 x 1200 native resolution helps ensure that images and text are clear at most viewing distances. The PowerLite L400U features two VGA and two HDMI inputs to support various source devices. One VGA input can alternatively function as an output, enabling you to daisy-chain your video signal to additional projectors or displays. As an added convenience, a VGA cable and an IR remote control are included. Box Dimensions (LxWxH) 20.75 x 19.5 x 8.25"